As far as I can tell, the bodies of the Amscope B390 and T490 series microscopes appear to be clones of an Olympus CH, which means they're built around a focus block with 25 mm total travel at 0.200 mm per rotation of the fine focus knob. Those bodies also come with a gear-driven XY stage. 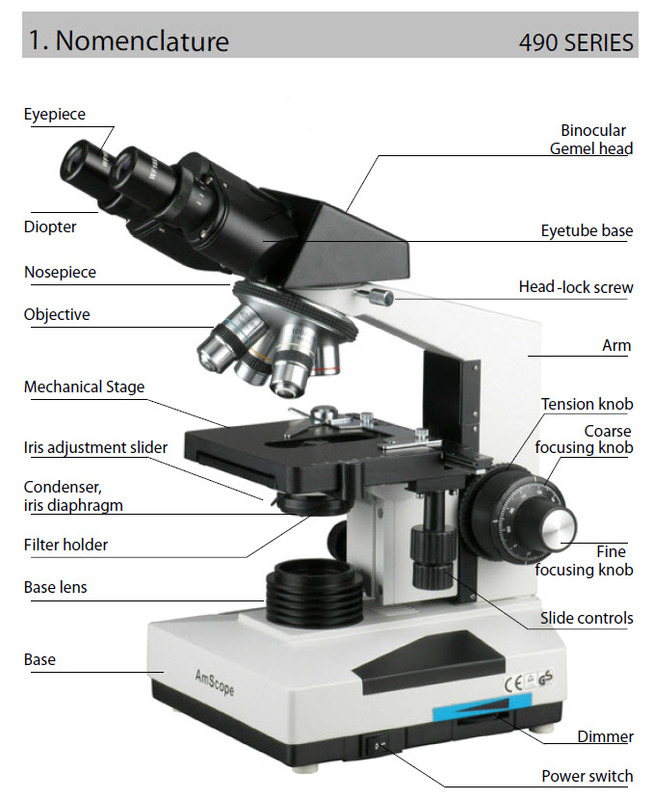 The focus block and XY stage can be used without modification to the microscope by using the techniques described at http://www.photomacrography.net/forum/viewtopic.php?t=15697. Or if you feel like hacking it apart, you can probably separate the focus block and stage from the rest of the microscope without too much trouble. Noting that Amscope regularly runs half-price sales, what I suspect is that for around $250 you can purchase new a decent focus block plus XY positioning stage, which incidentally comes packaged with some low end optics that assemble to form a microscope you can play with too. It's possible you could get by with even lower end scopes from the same manufacturer, but I don't have any detailed information about focus mechanisms on those. I'm phrasing this carefully -- "I suspect" -- because I haven't actually done it and there could be some critical flaw about the hacking-it-apart bit. It's hard to imagine anything going wrong with just using the scope base unmodified for focusing, however. New readers are directed to http://www.photomacrography.net/forum/viewtopic.php?t=11008 for a simple setup that mates a stepper motor to the fine focus knob of a microscope base. That particular setup has been measured to provide reliable stepping down a small fraction of 1 micron (HERE). As it happens, Amscope recently ran one of their half-price sales and I couldn't resist finding out whether my speculation was correct. So I bought a couple of different scopes through Amazon (simple returns, just in case) and I'm now investigating what aspects are good and not so good. Right now, I am happy to report that the focus block of the T490B looks to be as good as I had hoped. The focus block has just short of 30 mm total travel, at 0.200 mm per rotation of the fine focus knob. The controls feel smooth, both focus and stage XY. Objectively, I've tested using the StackShot motor technique and optical measurement techniques described HERE and HERE. Results are good. 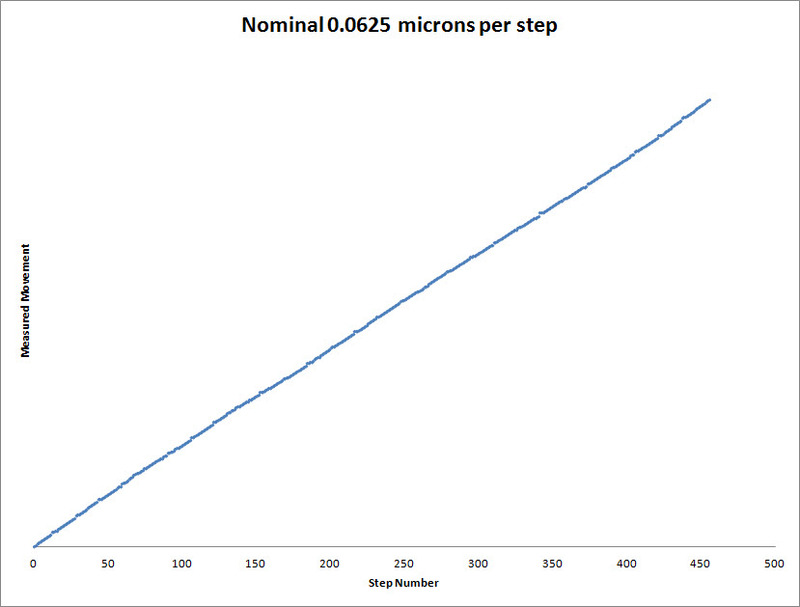 With the smallest nominal step size (1/3200 turn of the fine focus knob), what I measure is a sequence of 450 moves whose average length is 0.0625 micron (1/16 micron) and whose largest move is just under 0.19 microns. This sequence shows a periodic pattern that every 16th and 32nd step is especially large. That's the same pattern that I saw with an Olympus CH base, and I'm quite confident that these large steps are due to a quirk in the Cognisys controller's motor driver. Anyway, back to the microscope base. As discussed above, I'm happy with this focus block, at least for this sample at this time. I have no information about robustness and durability, except that by appearance the mechanism looks and acts almost exactly the same as my Olympus CH base. The dimensions are clearly different (including the head dovetail diameter), so this is not really an Olympus CH clone as I had suspected. But functionally it seems to be a suitable replacement, and of course it's available new on a routine basis. I hope this helps out somebody else. For myself, at least my curiosity on this point is satisfied for the moment.